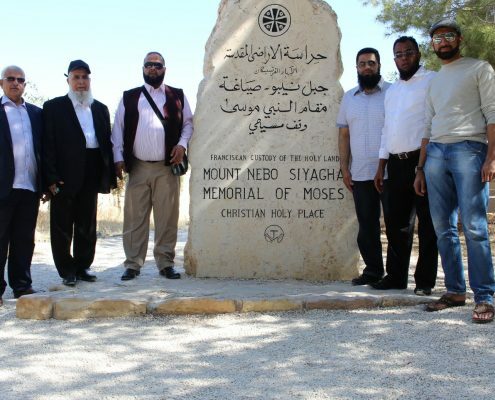 Jordan is a land which is graced with rich Islamic history and culture, containing the shrines of many Prophets and companions (peace be upon them all). Jordan is bordered by Saudi Arabia to the east and south; Iraq to the north-east; Syria to the north; Palestine and the Dead Sea to the west; and the Red Sea in its extreme south-west. Jordan is strategically located at the crossroads of Asia, Africa and Europe. Many pilgrims travel through Jordan to Mecca to perform umrah or hajj. It is believed that the cave of Ashabul Kahf is situated in the capital city of Jordan, Amman – a story which is mentioned in the Quran. The story is about a group of young men, who believed in Allah(ﷻ) and his message, despite living with a tribe and a king who were disbelievers. The young men presented their religion to the king and its people, calling them towards Allah (ﷻ)but were denied and noticed that the people will bring a threat to their lives. So, they decided to migrate for the sake of Allah (ﷻ) and seek refuge in a cave. Thus, Allah (ﷻ) bestowed sleep over them and when they woke up from their sleep, by that time all the people of their city had become believers. The ‘Blessed Tree’ which shaded our final Prophet ﷺ is still miraculously preserved in the north desert of Jordan fourteen hundred years later. The Prophet ﷺ took shelter underneath this very same tree during a commercial excursion with his uncle Abu Talib and a qureshi caravan Al Bakoueya’ or ‘Al Safawy’ when He ﷺ was a young boy. Some scholars have referred to this tree as the ‘Living Sahabi’, as it is still alive and testified that this was the final Messenger of Islam. 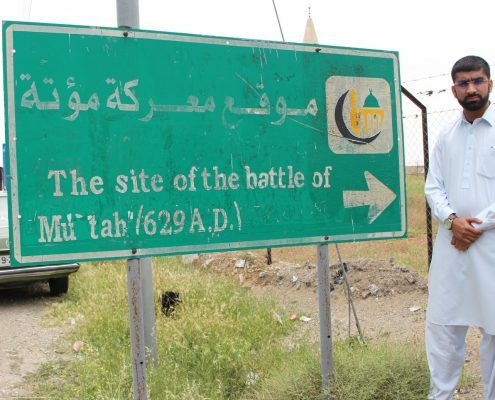 The most significant and fiercest battle fought during the Prophet’s ﷺ lifetime was the Battle of Mutah (629 AD). 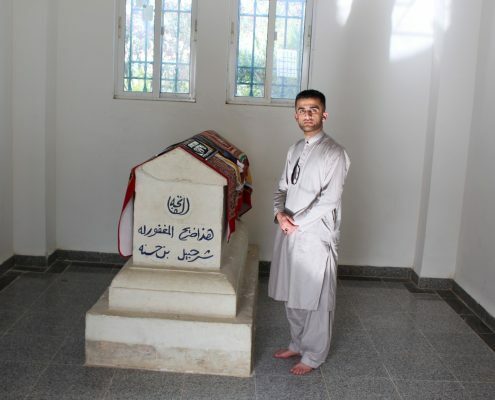 It took the lives of his closest companions, martyred fighting against a combined Byzantine/Ghassanid army. You can visit the tombs of the venerable companions Zaid bin Harithah, Ja’far bin Abi Talib, and Abdullah bin Ruwahah (Peace be upon them) near a town called Karak in Jordan. Zaid bin Harithah was the adopted son of our Prophet ﷺ, he led the Muslim army during the Battle of Mutah and is the only companion mentioned in the Holy Qur’an by name.